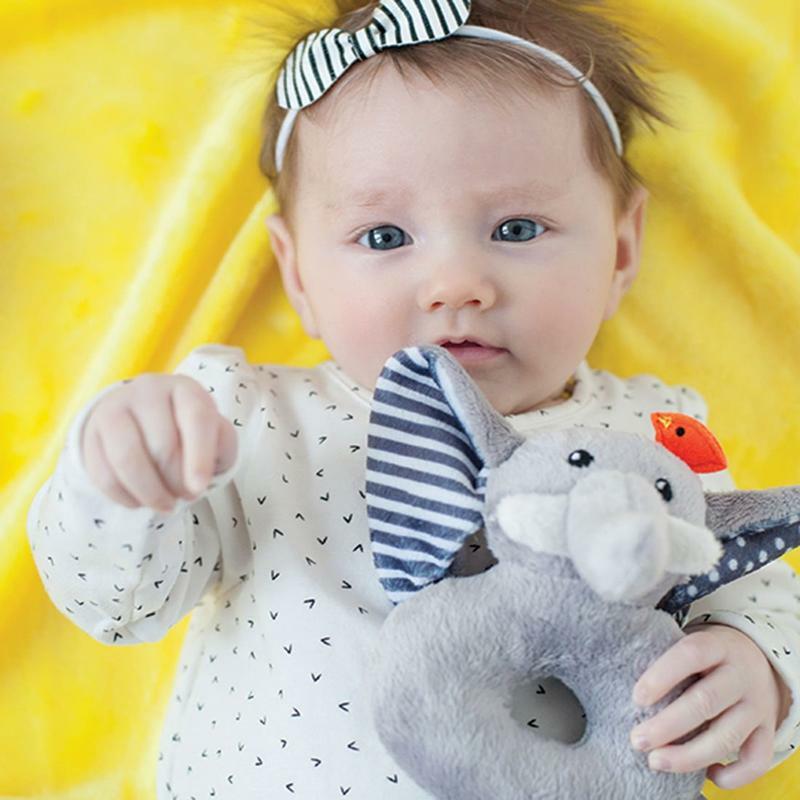 Our soft and colorful fabrics, tactile interest, and a gentle sounding rattle, will make your baby smile. Comes attached on a sturdy backer card with a gross-grain ribbon. Coordinates with Zoocchini Buddy Blankets and Cotton Receiving Blankets Gift Set. Easy to bundle for perfect baby gift! 100% POLYESTER VELOUR - Buddy Rattles are made with Premium Quality Super Soft Velour. Cuddly characters can help build little ones social and emotional development. Sized just right for baby's little hands, easy to grab & hold. 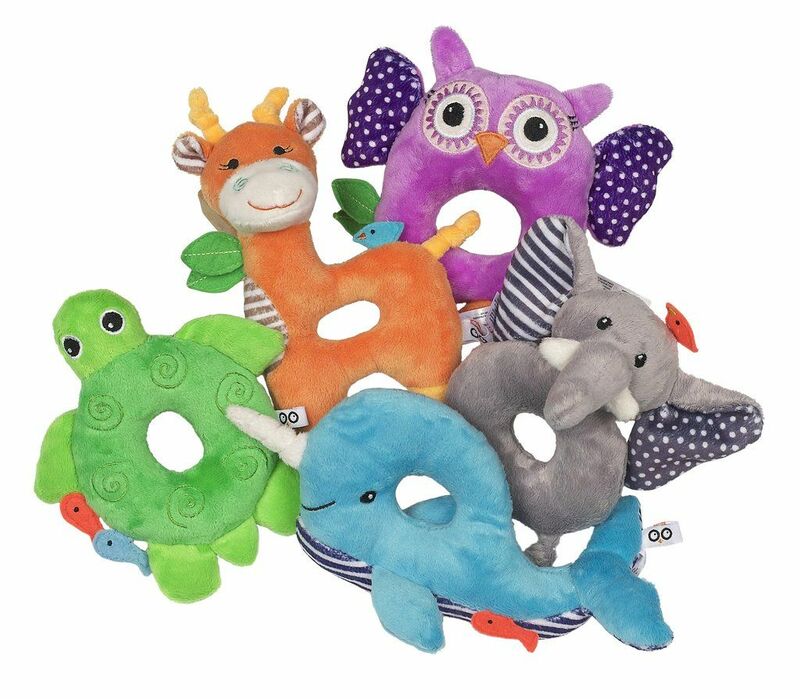 Easy grip plush ring-shaped toy with gentle rattle inside allows for added play value and sensory stimulation. Bright colors and high contrast patterns to encourage visual tracking for early visual development. Irresistibly cute rattle will stimulate their sense of touch, hearing and encourage baby's early grasping skills. Highly detailed embroidered features ensure safe use for all ages. Make a great snuggly companion buddy at home, in the stroller or during travel! Moms will love this Buddy Rattle - Makes a great snuggly companion buddy for everyday use, whether at home, on a stroller, in the nursery, for belly-time or while traveling. Cute & Stylish, combined with Modern, Innovative 3D Plush Animal Design features in Fun Bright colors. Washable: Easy to clean, surface washable fabric, simply hand wash with mild soap and cold water. No Harmful Materials: made of high quality polyester fibers (no harmful materials). Ideal first rattle for a newborn! 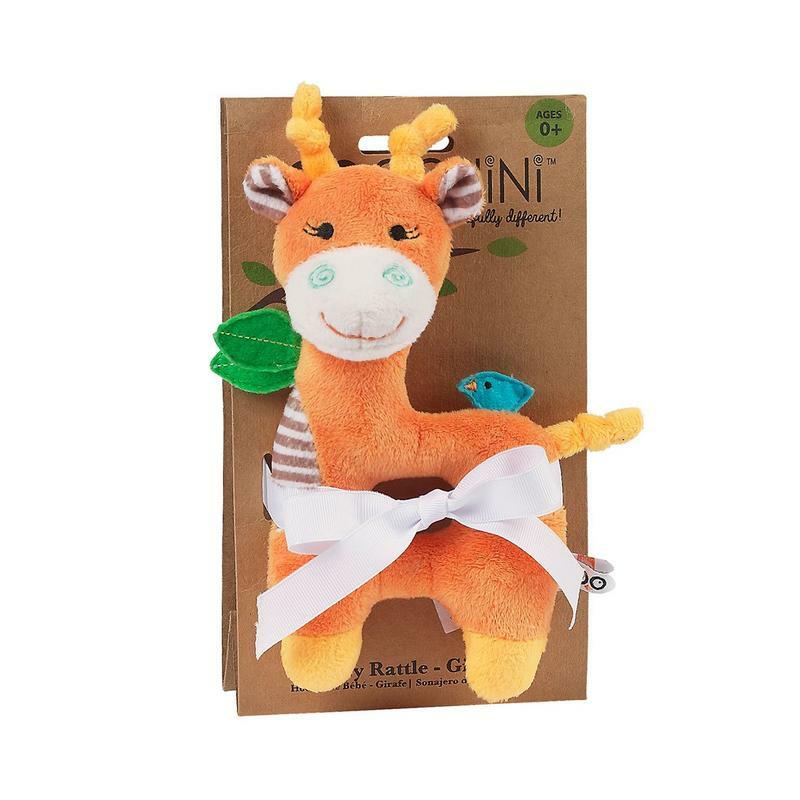 This cute rattle makes a great gift for any infant. A perfect gift! Comes in 5 different animal characters. To get maximum usage, please read and follow all washing and care instructions. Made to be used daily, and even passed down to younger siblings or friends and family, without weakening or showing signs of wear.